We ask that you pray for the three big brothers. 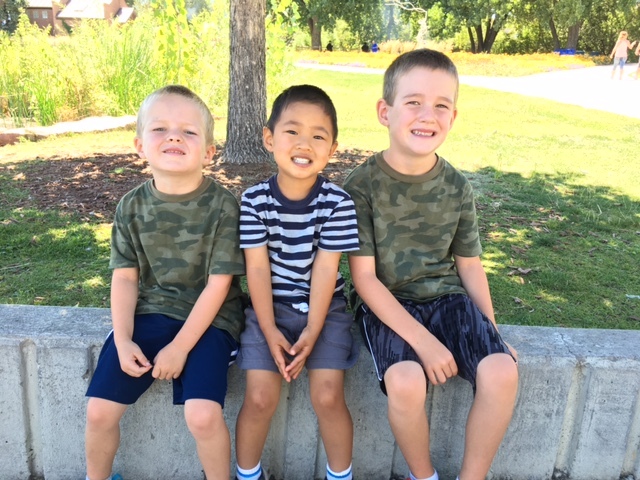 Leighton, Caedmon, and Edric are the sweetest and busiest and cutest boys we know and feel so blessed to have the opportunity to parent and love them and watch them grow. But just as the transition for both Paxton and Coppelia coming home is going to be difficult, it is going to be hard on these three too. And I wish I knew how each would respond and what to expect and how to help each one through it, but we don’t and we won’t know until we are in the midst of it. So please pray for their preparation, for open communication and deep security for each one of them.